Majid Al Futtaim – the leading shopping mall, communities, retail and leisure pioneer across the Middle East, Africa and Asia – is celebrating the spirit of togetherness at City Centre Bahrain from September 23 to 29 in honour of the 88th Saudi National Day with thrilling prizes and special promotions. “City Centre Bahrain extends its warmest congratulations and best wishes to the Kingdom of Saudi Arabia on this joyous occasion. We invite Saudi nationals, residents and tourists to come together to celebrate this festive moment. As a favoured destination for Saudi Nationals during holiday periods City Centre Bahrain has created tailored promotions for guests to enjoy, as well as newly introduced services which have revolutionised the customer experience,” said Duaij Al Rumaihi, Senior Mall Manager at City Centre Bahrain. Throughout the week-long celebrations City Centre Bahrain is offering shoppers with prizes to win every day. Visitors who shop for BD30 will have the opportunity to win 100g 24k gold plates and the first 50 visitors every day who shop for BD40 will instantly receive two cinema tickets. 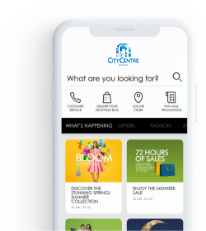 During such a busy period when convenience is paramount, shopping at City Centre Bahrain is now a lot easier and smoother with the recently launched Hands Free Shopping service. Available for the first time in Bahrain, the service invites shoppers to drop off their shopping bags and collect them later or have them delivered anywhere at their convenience.